UnitsPro not only contains hundreds of predefined unit conversions, but also enables the addition and editiing of further unit conversions by the user. Contains over 100 pre-defined unit conversions. 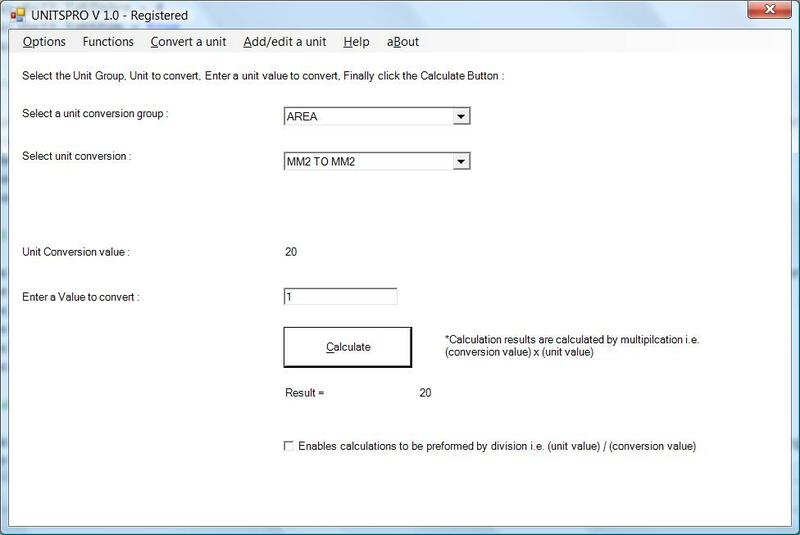 Enables addition and editing of existing and new unit conversions. Enables Deletion, Backup, Restore functions of unit conversions.